I'm so in love with the new Stampin' Up! Blendabilities. I've always loved colouring and find them just so easy to create depth and texture on my projects. 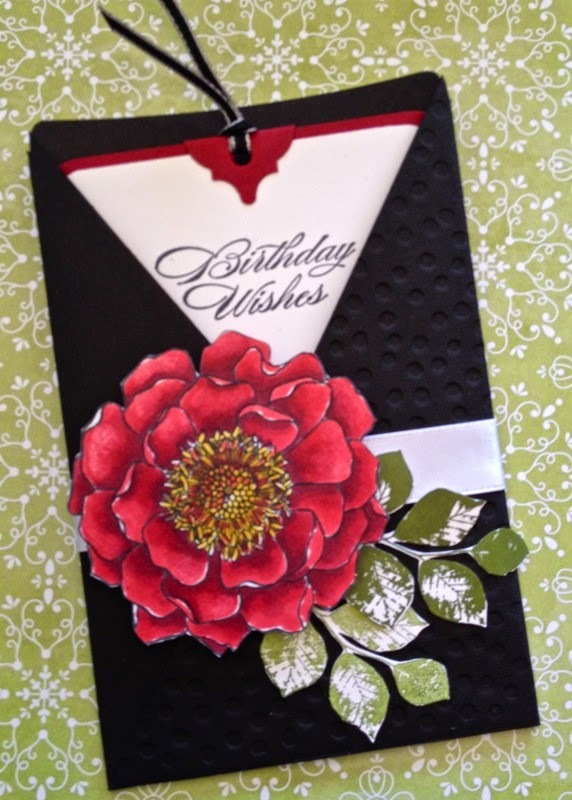 This Tuesday at my regular Crafty Tuesday mornings, we created this versatile Pocket Card. I say versatile because all you need to do is change the greeting and it can become a card for any occasion. I've used the Cherry Cobbler range of Blendabilities and the usual method of starting with just a tiny bit of dark colour in the shadowy areas before blending the medium and light colours into each petal. I usually work on about 4 or 5 petals at the one time, and this gives you ample time to really enjoy the colouring process, while completing the project in a reasonable time frame. The leaves are stamped in one of our new IN COLORS - Mossy Meadow, and the colour variation is achieved by simply stamping off the image. ie. Ink the stamp, stamp once, then stamp again next to the first image WITHOUT re-inking the stamp. 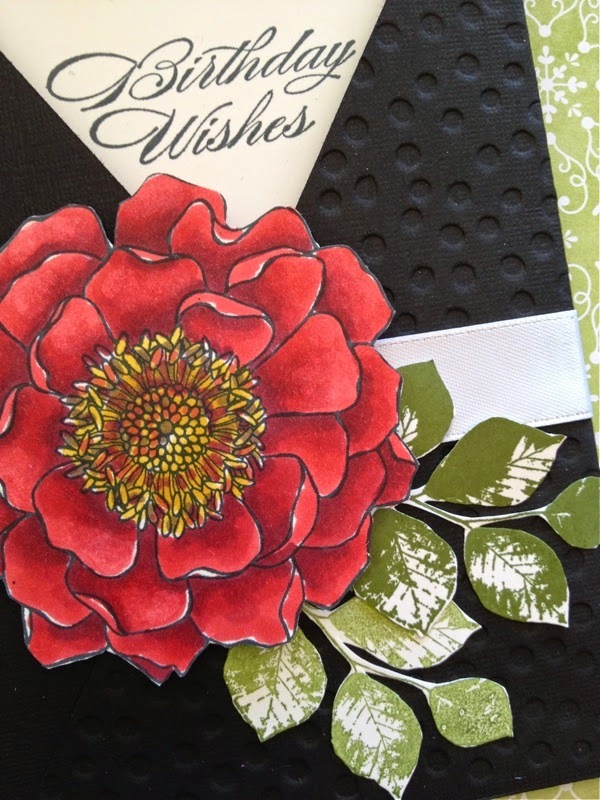 The Blended Bloom Flower and the leaves have been fussy cut with Stampin' Up Paper Snips and one side of the folder has been reverse dry embossed to add a little more texture contrast. Please contact me if you would like any help with Blendabilities purchases or techniques. I offer free tuition to any customers who place an order for Blendabilities with me.